Play some street shooting and prepare yourself for the NBA playoff finals in this awesome multiplayer basketball shooting game – Basketball Stars Online. Play against an opponent from across the globe and get ready to outscore him in a one on one match! 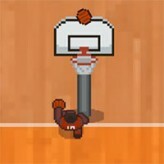 Basketball Stars Online is a massive multiplayer online arcade basketball game where you dribble, shoot, and score. The game features several modes. One mode is shoot out where you go on a free throw and score as much as you can against an opponent. 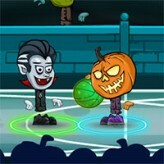 The other is on a one on one match where you take turns in attacking and defending. Time your leaps and aim your shots well to outmatch your player opponent! The game works in real time so skills are really necessary! There have been 4,887 plays and 70 likes from 84 votes (84%) since 20/05/2016. 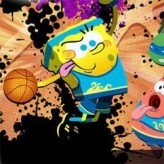 You are currently playing Basketball Stars Online game for free on Arcade Spot. It is a single game out of a variety of games that you can play on Arcade Spot. 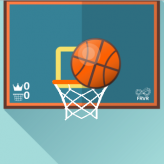 Play more games like Basketball Stars Online in the Arcade, Challenge, HTML5, MMO, Multiplayer, Simulation, Skill, Sports, and Unity gaming categories. This game has a rating of 84 out of 100 based on 84 user ratings. If you enjoyed playing the game, give it a thumbs up. Free Online Games and Arcade Games are added every day. Arcade Spot will bring you the best games without downloading and a fun online gaming experience on the internet.